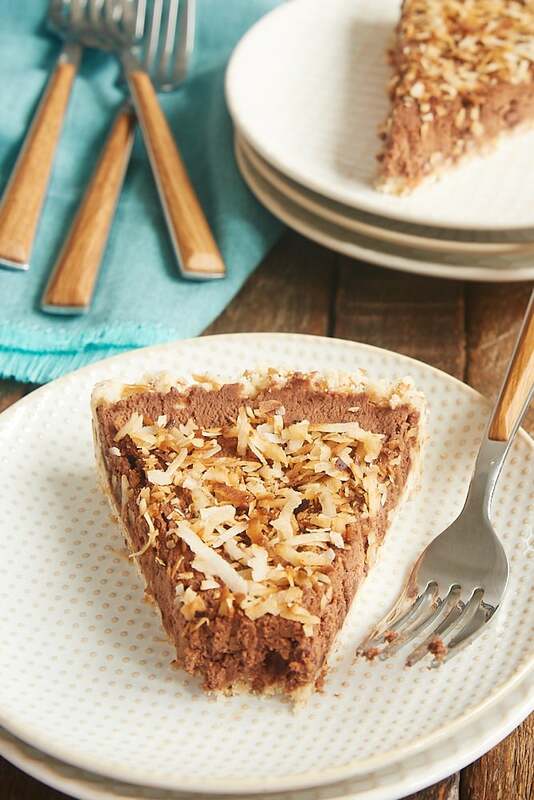 The combination of chocolate and coconut really shines in this cool and creamy Chocolate Mousse Pie with Toasted Coconut Crust. 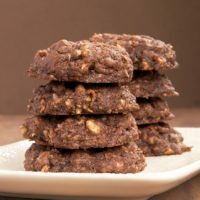 All of that toasted coconut combines with the dark chocolate filling for an irresistible dessert! Coconut is one of those love it or hate it foods. I can’t get enough of it, but Quinn won’t get near it. That means I don’t bake with it as much as I’d like, so I really savor the times when I get to enjoy a coconut treat. 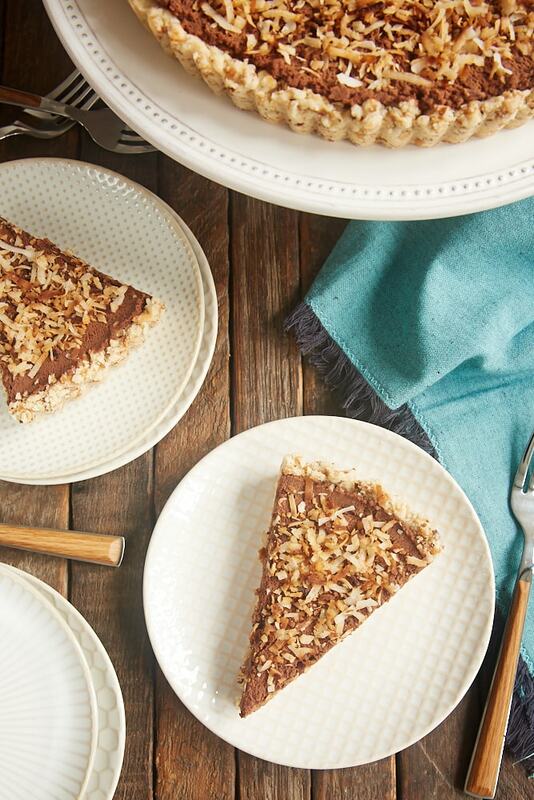 With this Chocolate Mousse Pie with Toasted Coconut Crust, coconut combines with a cool, creamy chocolate filling for one fantastic pie that’s also easy to make. 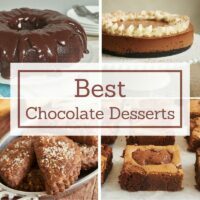 Consider me in dessert bliss! Making the chocolate mousse filling for this pie is quite easy and quick, needing just four ingredients. It can, however, be a bit tough to get it mixed thoroughly. After you’ve let the chocolate/sugar/vanilla mixture sit, it will be thick and probably a little hard to stir. Once you’ve made the whipped cream, I strongly suggest that you add about a quarter of it to the chocolate and mix it well. Then you can fold in the rest more easily without deflating all of your whipped cream. Any time chocolate is the primary flavor, I feel I must recommend that you use a good quality chocolate. You don’t have to spend a lot of money to do that. Just find one that tastes good to you and melts well. 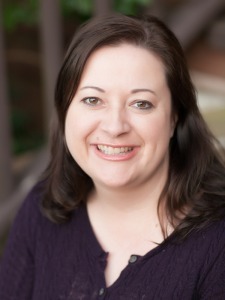 I aim for somewhere around 70% cacao, which can be labeled as bittersweet or semisweet. Just look for something within 5% or so. You’ll see in the recipe that this pie will need to chill for a couple of hours before serving. Personally, I think it’s better if it chills a little longer. Just know that it doesn’t have to be an overnight stint in the refrigerator if that works better for your plans. I know that not everyone loves coconut. In fact, it seems to be one of those foods that you either love or hate. If you want to make this pie with a different crust, that’s no problem at all. I recommend a cookie crumb crust or a different shortbread crust. If you’re a fan of nuts, then you can substitute nuts for the coconut in this recipe. 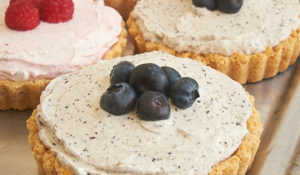 Otherwise, try this basic shortbread crust. 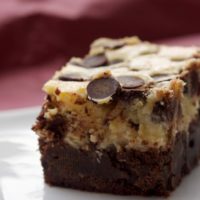 Or how about a chocolate chip cookie crust? With my abiding love of coconut, I wasn’t shy with topping this pie with lots of toasted coconut. Feel free to dial the amount on top up or down as you like. I used probably about 1/3 cup on the pie pictured. Alternately, you could top it with nuts, chocolate shavings, or whipped cream. Or keep things simple and leave it as is in all its chocolate mousse glory. 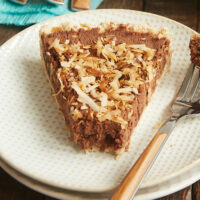 Chocolate Mousse Pie with Toasted Coconut Crust is a celebration of coconut and chocolate. 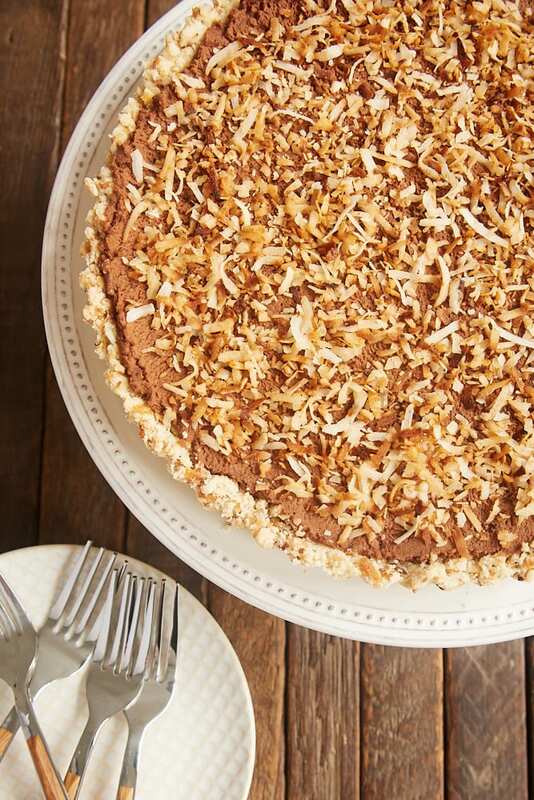 A coconut shortbread crust combined with a creamy chocolate mousse filling makes for one irresistible dessert! Preheat oven to 350°F. Place the coconut in a single layer on a lined, rimmed baking sheet. Bake for 10 to 12 minutes, stirring every few minutes, until the coconut is toasted. Set aside to cool slightly. 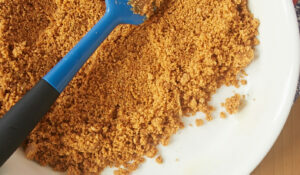 Place the flour, sugar, and salt in a large mixing bowl, and stir to combine. Mix in the cooled coconut. Add the butter and mix with a pastry blender, a fork, or your fingers until thoroughly combined. The mixture will be crumbly but should hold together when pinched. Transfer the mixture to a 9-inch round pie plate or tart pan with a removable bottom. Press the crust firmly and evenly into the bottom and up the sides of the pan. 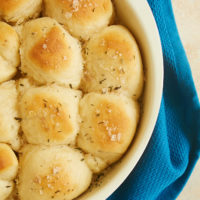 Use a measuring cup, a spoon, or your fingers to press the crust into the pan. Bake 15 to 18 minutes, or until the crust is golden brown. Set aside to cool completely. Remove from the heat and stir in the confectioners’ sugar and vanilla. Transfer the mixture to a large mixing bowl. Allow to sit for 5-10 minutes. Using an electric mixer with a whisk attachment, whip the cream in a separate bowl until soft peaks form. Spread the mousse evenly in the cooled crust. Top with more toasted coconut, if desired. This pie looks absolutely gorgeous! So delicious! I love the combination of coconut and chocolate. YUM! Looks amazing. ..once my summer holiday is over, I am bookmarking this as a recipe to come back and make. 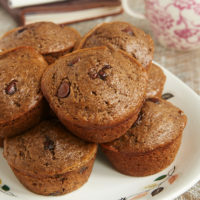 Thank you so much for printing a recipe that the growing gluten-free population can easily adapt and enjoy! My health insists on gluten free! Not that through the years I haven’t enjoyed your recipes! 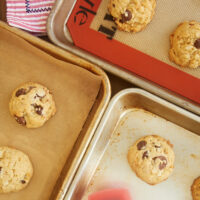 I think you might ,like me, enjoy the recipe as much as the actual making and eating! 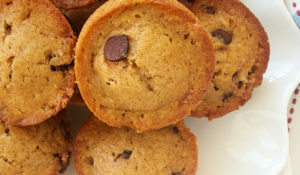 Here’s a real challenge: adapt some of your wonderful recipes to using a specific gluten-free flour blend on the market today. It would take a lot of testing and probably a lot of throwing out but would be valued by many! Many gluten-free people only need that one change in the flour. The other ingredients would stay the same except for perhaps adding xanthan gum. Believe me, this is a challenge!!! I’d love to do that, Shelby, but I just don’t have the time to devote to it. Maybe someday when it’s not just me doing all the recipe testing! Damn! I may just make the chocolate mousse part for now!